Utah’s National and State Parks are in a word, sensational. Sensational, as in pertaining to the senses. Visually, the landscapes are vast and incomprehensible. The scents of primitive trees and flowers are all encompassing. You can almost taste atmosphere in Utah’s parks, it is so pure. And you’ll never again hear anything like the echo of the raven’s call ricocheting from canyon walls. And the gentle touch of the desert wind against your face will give you profound gratitude for the opportunity to surround yourself in Mother Nature’s unique perfection. 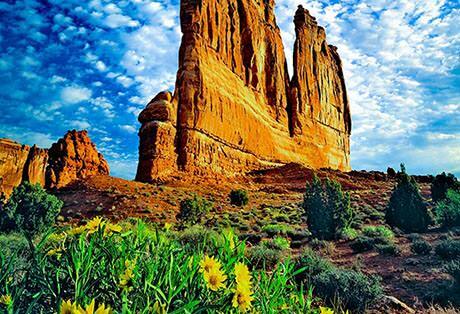 Utah’s National Parks are a sensation not to be missed. There’s a place full of colorful towers and turrets and wonder that you must absolutely visit, and it’s not an enchanted castle, it’s an enchanted park. Arches National Park. 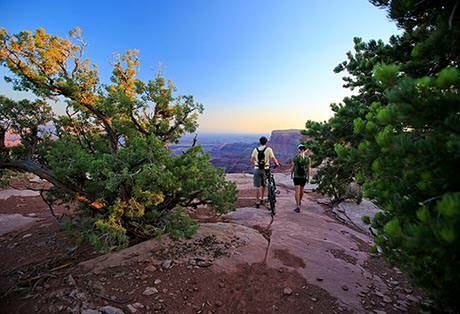 There’s a reason why it’s one of America’s top National Parks. 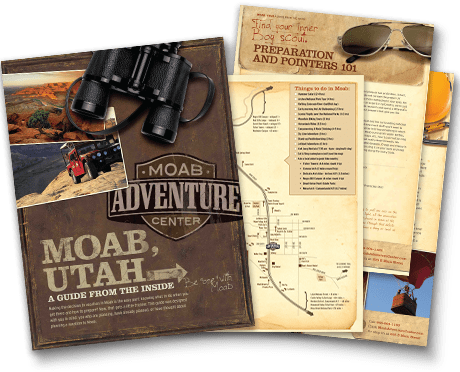 Step into a world where every direction is a unique view of intricate canyons carved into the desert landscape. 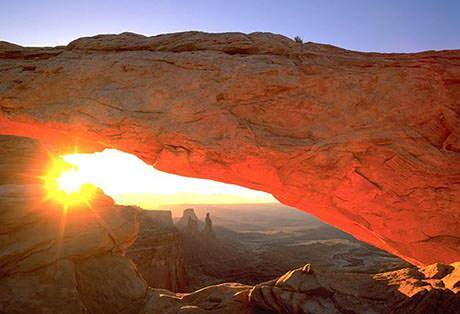 Nature at its most rugged and dramatic is the definition of Canyonlands National Park. Atop the towering plateau of Dead Horse Point, the fearless waters of the mighty Colorado River below seem still. Dead Horse Point State Park is a perfect panorama of deep canyon bends, and transitioning colors as the sun makes it’s way across a seemingly endless sky. Far above the horizons of the desert plateaus lies the ceremonious peaks of the Manti-La Sal Mountains. 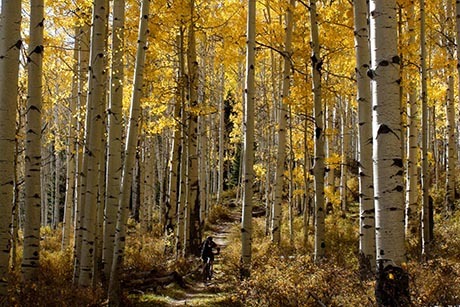 An alpine network of trails beckons to be explored and pristine moments beg to be savored.